I'll try to go. I want to go !!! Those planning to go to London, buy 2 or 4 tickets this Friday, this way you will be able to help other Cure fans in case they don't find tickets! First I want to be sure to have a ticket for the gig! For those planning to go: are you planning to arrive in London one day before (on 14th November)? or do you plan to arrive during the weekend ? (Saturday 12th)? If I have a ticket, I'll fly over on the 15th in the morning and go back on the 16th. And now hopefully without a delay, with the right clothes on, with lots of known Curefans to meet! A perfect show with a perfect setlist! Arena shall be a standing arena. Yes, just like in 2006. The event that you have a chance to experience is going to be magical, extraordinary, & very emotional. I'm getting emotional just thinking about it hehe. If you're able to, grab this with both hands & your hearts, it will stay with you all forever, a treasure for all time. My hopes are with you all for tickets,time off work, transport & everything else you need to organise leading up to this special night. You'll get the chance to feel like all of us did just a few short months ago. In 2006 it was seating ticket in the arena no standing. Circle = £75, £50, £25. And are you going again to RAH ? 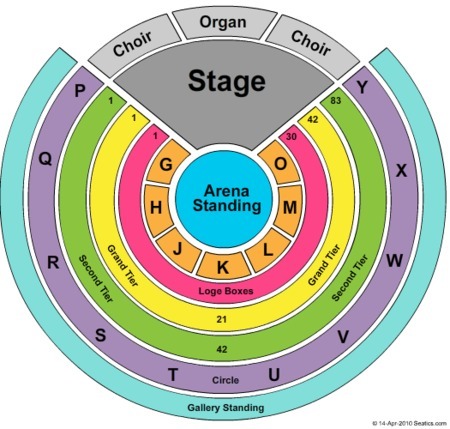 Does anyone knows if tickets will be sent or if we must take them when we arrive to the Royal Albert Hall? Thanks.